Posted on December 1, 2013 | Comments Off on Let There Be Light! Believe it or not, it’s already that time of year. If you’ve taken your lead from the many retailers around town, you set up your holiday lights at Halloween, changed colors subtlety to match the Thanksgiving season and now you’re ready for the big finale. While I’d rather save energy and the hours of untangling and hanging thousands of blubs outside my home to spend with friends, I don’t want to be known as the ‘Environmental Scrooge’. So instead, may I suggest you trade-in your outdated incandescent holiday lights and ‘deck the halls’ with LED holiday lights? Switching to LED lights used to mean a large initial investment, but checking the holiday aisles of the local home supply stores, I was thrilled to find that there’s a bigger selection than ever and the price is near parity with old energy-hog technology. Of course the real savings comes from reducing your holiday energy costs. As this year’s holiday advertisements rolled in, I noticed many stores offering trade-in and discounts on LED holiday lights. Do a little legwork, comparison shop wisely and you’ll save yourself some green for your pocket. Also, don’t forget to look for sales after the holiday – it’s a great way to gain additional savings for your holiday wonderland. Our friend Bob O., retired Director of Finance and Facilities, The Athenian School, graciously shared the following quick dollar savings calculation with us to demonstrate what can be realized by switching from incandescent bulbs to LED lights. Say you put up 5 strands of 25 C9 6.6 watt holiday lights. That’s 825 watts. Let’s say you turn them on for 5 hours each day for 30 days. At a total of 150 hours, that’s 124kWh. Now look at your last PG&E bill. Do you see an average cost of 15 cents per kWh? Let’s use that tier price for our calculations. That would make the cost of the power for the traditional lights $18.50. The 125 C9 .08 watt LED lights will cost you about $25 to purchase at OSH, Target or Home Depot and will cost $.26 cents for the comparable season. A true carbon footprint calculation would include that the new lights have been manufactured and shipped using fossil fuels. The price of the LED lights is a good indicator of the CO2 generated, so we can assume that half of it is for energy used in some form. Bottom line is that the carbon footprint of the new lights may be covered in just one season of use by energy reduction at PG&E. That means the payback of your new lights is less than 2 seasons. If saving green for your pocket or ‘doing good’ for the planet isn’t your thing, then consider that LED lights are more durable and safer to run than incandescent lights. LED bulbs generate less heat improving the life span of your holiday twinkle. You can expect LED light strings to last up to 100,000 hours – using our assumption above at 150 hours a season – your LED lights will outlast Santa! The limited heat output of LED bulbs that contribute to their lifespan also provide safer illumination. Definitely worth considering as you trim your family Christmas tree this year. 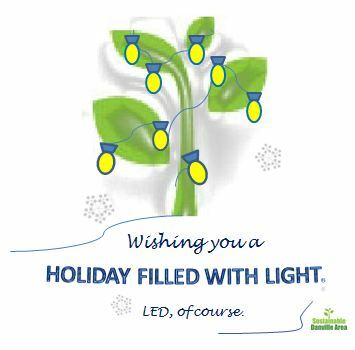 Of course, there are advantages of LED lighting over traditional bulbs and CFLs beyond the holiday season. While incandescent 100-watt bulbs have been phased out throughout the US, the cost savings of replacing these inefficient blubs in your home with LED or CFL is over 75% energy savings. And the cost of LED bulbs have come down tremendously since last year. You can now purchase a CREE or HALO LED replacement bulb for $7 and even replacement bulbs and trim for recessed cans for just $35. PG&E has a simple efficiency chart online that shows the watts for different bulbs at various lumens (brightness) which can be found athttp://www.pge.com/myhome/saveenergymoney/rebates/light/products/index.shtml. In an honest disclosure, I am not a big fan of CFL bulbs. Each of these bulbs contains a small amount of mercury which means used bulbs must be treated as hazardous waste. 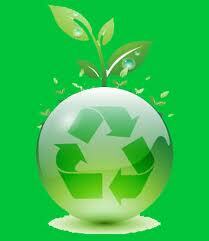 That means it is against the law to put these bulbs in your waste or recycling bins. Instead, please bring them to your local Ace Hardware or Home Depot that as a courtesy to their customers, will properly dispose of your residential CFL bulbs. Also, PG&E has a fact sheet, Recycling CFLs: What You Need to Knowhttp://www.pge.com/includes/docs/pdfs/myhome/saveenergymoney/rebates/factsheet_recyclingcfls.pdf including important information about proper clean-up procedures for broken CFL lights. Please keep your family safe and follow these valuable instructions. Sustainable Danville Area hopes the joy of connecting with your family, friends and neighbors over simple meals and activities will light your holiday season and all the days of the New Year. 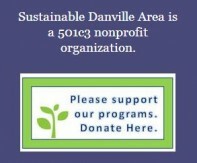 Please follow us on Facebook at www.facebook.com/sustainabledanville.com or visit us at www.sustainabledanville.com. When two wheels just aren’t enough. I started a new job back in March. It’s the first time I’ve worked within miles from home and I love it! Instead of commuting down I680 for hours, I can now walk or bike to work…but it hasn’t really worked out that way. First, I rationalized that I needed to get comfortable with the work culture and appropriate office attire. I was thrilled to learn that my office building has showers and lockers and this motived me to commit to ride my bike at least three times a week. I did keep my commitment for Bike-to-Work, but it honestly took more time to pack my clothes and change at the office then it did to peddle down the Iron Horse trail to my destination. I have other excuses too – ‘It’s too cold in the morning’, ‘It’s too hot in the evening’, ‘I have too much to carry from the store’ and ‘I have friends to meet’. But the number one excuse for not walking or peddling to work more often is Eddy, my EV! Eddy is my electric vehicle. To be specific, Eddy is a Nissan Leaf with LEAF standing for ‘Leading, Environmental, Affordable, Family’ car. Guess this is true with over 30,000 on the road in the US. I count an open air Jeep, a few BMWs, Hondas, Toyotas and a Porsche amongst the autos that have moved me through years of driving, but I’ve never named a car before. However, I love this car! I was on the wait list for the first units delivered back in 2010, but I waited because we just didn’t need a new vehicle when my number came up. Waiting gave me lots of time to research and test drive alternative EVs and review my driving priorities. Let’s start there. Create a pattern of your daily driving habits. When considering an EV, you have to get past ‘range anxiety’. This is the concern that you’ll run out of electric ‘juice’ before you reach your next charge station. The average Northern Californian commutes 20-30 miles each way to work. While work proximity isn’t an issue for me, we do have a hybrid for longer weekend trips. During the week most of my trips are local and rarely on the highway. While the US Environmental Protection Agency official range for the 2013 year Leaf is 75 miles, I’m getting 95 miles between charges. And in a pinch, I can extend Eddy’s range by tapping into one of the many Chargepoint or Blink charging stations popping up in convenient places all over the East Bay. Buy a car that fits your driving habits. The Tesla S is a beautiful car whose luxury features make the top Lexus model look like an economy car. However, given the limited time I spend behind the wheel and the Tesla price tag reaching past $70K – I would be paying over $13 per mile to glide in style. Buy a car that fits your cargo needs. Eddy seats five like clowns in a toy car. However, two adults and a very large dog can be very comfortable around town. Eddy’s large hatchback trunk has extra depth unlike the Ford which retrofitted the Focus and ‘stole’ trunk space for the batteries. Save a dollar and use smart energy. Eddy doesn’t have a tail pipe so there’s zero pollution in motion. However, since we ‘feed’ him twice a week from the PG&E grid and their energy is only 33% renewable, there is still pollution from PG&E firing coal plants for our power needs. I’d love to add solar to our home, but we are energy conservative, and thus, we have only seen a $20 bump in our electric bill per month. So for now, I am content that our EV saves me a trip to the gas station, an additional federal tax credit of $7,500 and another $2,500 from the State of California for purchase of an electric vehicle. And this makes up for not burning smart energy of my own – on two wheels.